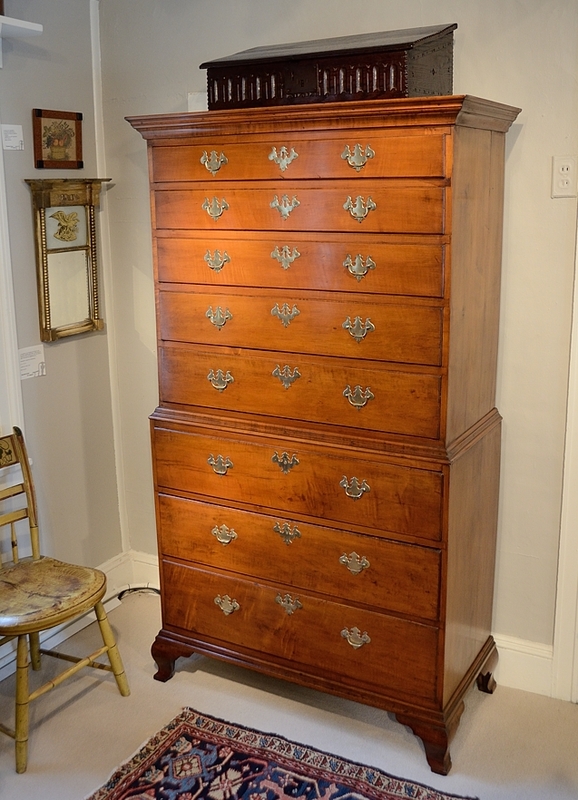 Chippendale Cherry Tall Chest With Stepped Molded Cornice Above A Single Drawer Appearing To Be Three, Over Two Four, Graduated & Thumb Molded Drawers, The Proportions, Choice Figured Cherry And Condition, Makes This Tall Chest A True Find! 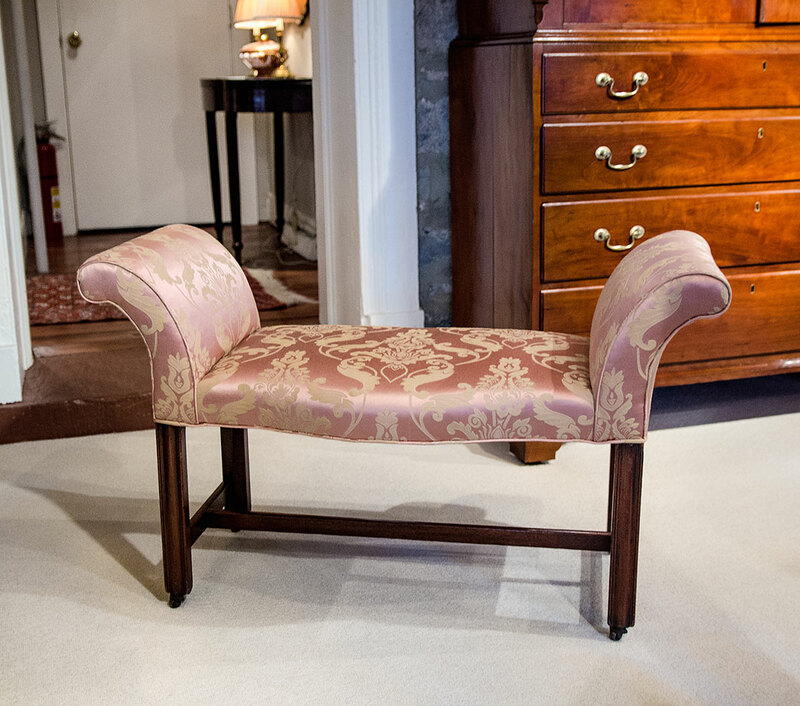 Chippendale Mahogany Window Seat The Over Upholstered Seat In Damask Fabric Having Scrolling Arms, Above A Seat With Serpentine Front. Raised On Tall Molded Legs, Joined By An H-Stretcher. 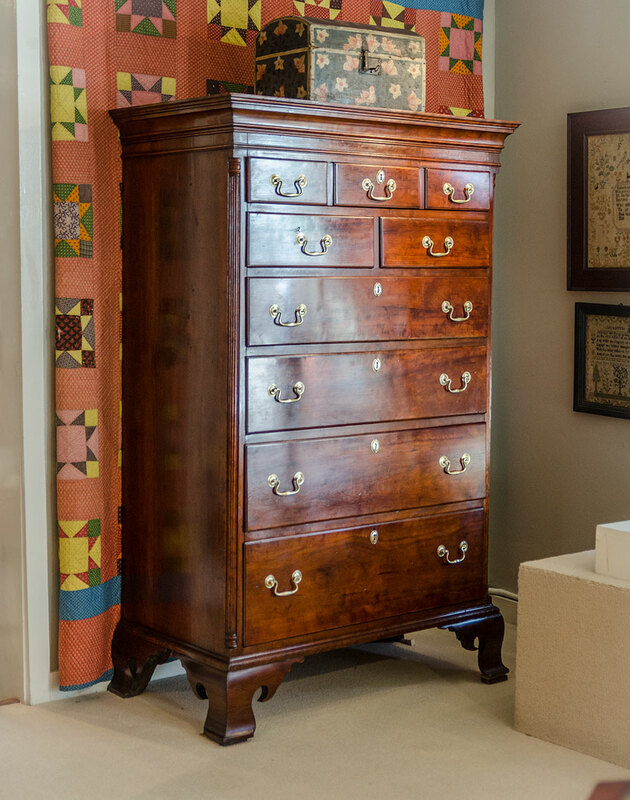 Chippendale Bow Front Chest Drawers With Rectangular Top With Incised Edge And Bow Front, Above For Graduated And Beaded Drawers, Retaining Original Brasses. 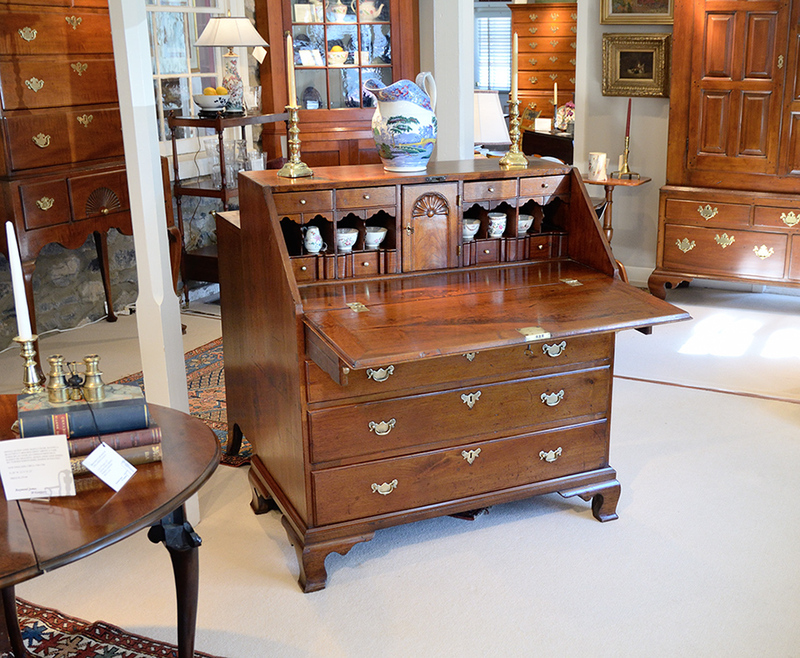 This Chippendale Tall Cherry Chest Has An Exposed Dovetail Case With A Stepped Cornice Above Six Graduated Thumb And Molded Drawers. Here's beauty that's practical. 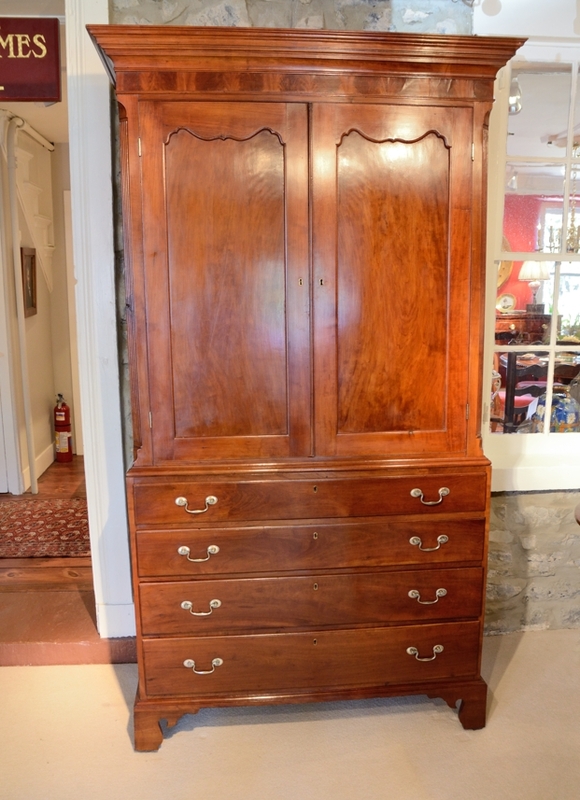 Chippendale Cherry Linen Press In Two Parts; Upper case With Cornice And Shaped Doors, The Lower Case With Four Drawers. The Condition, Patina, And Retaining The Original Brasses Makes This press A Find! 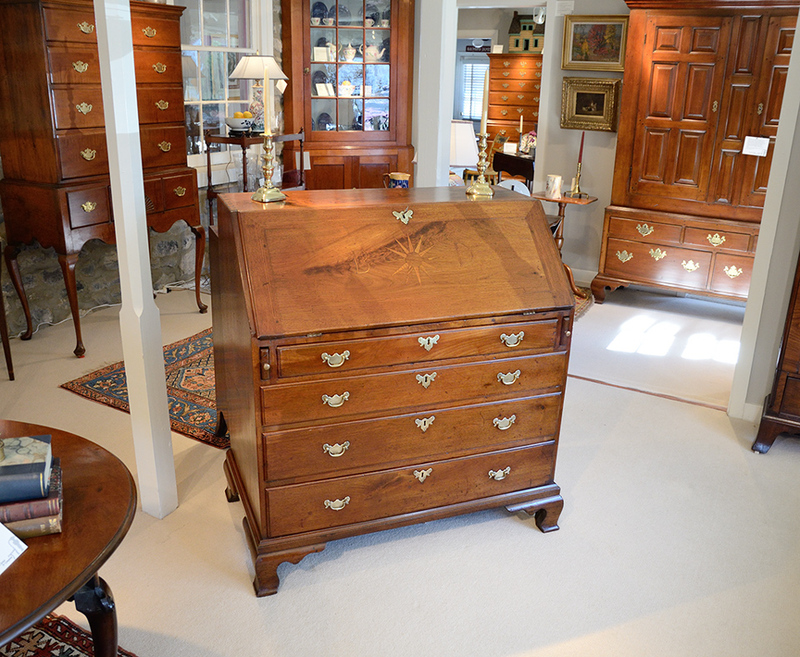 This Chippendale Walnut Inlaid Slant-Front Desk Is a Remarkable Find. 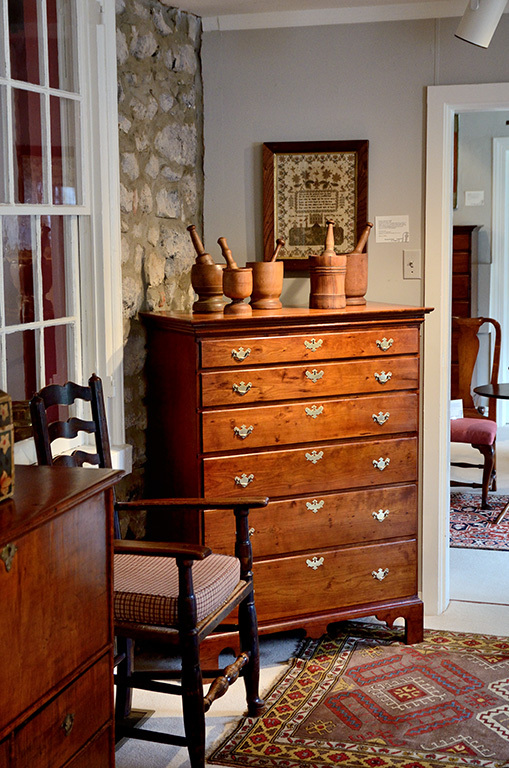 It Abounds With Great Details, Original Brasses And A Rich Warm Patina. Pennsylvania, Circa 1770-1780. 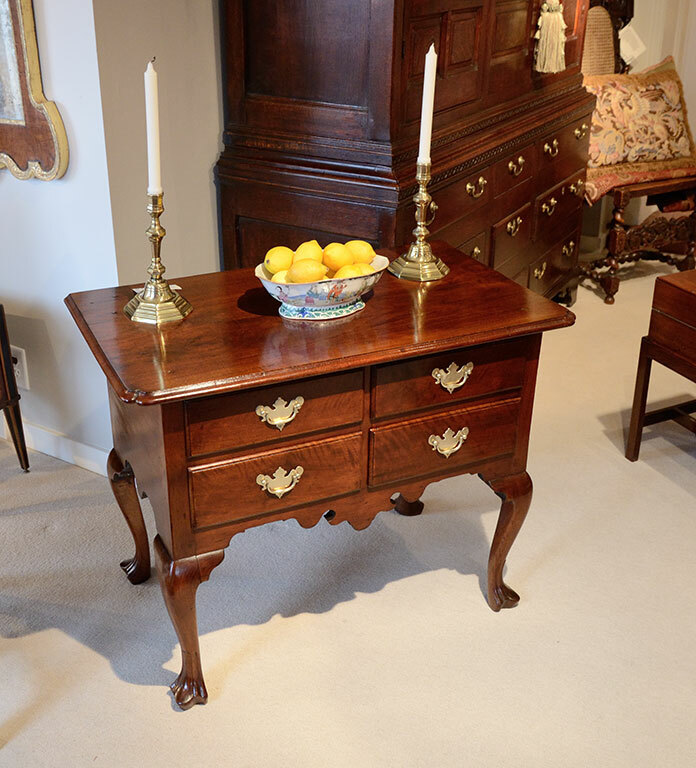 Chippendale Walnut Lowboy Philadelphia School, 1700's The Portions, Patina And Condition, Retaining The Original Brasses Makes this Lowboy Noteworthy. 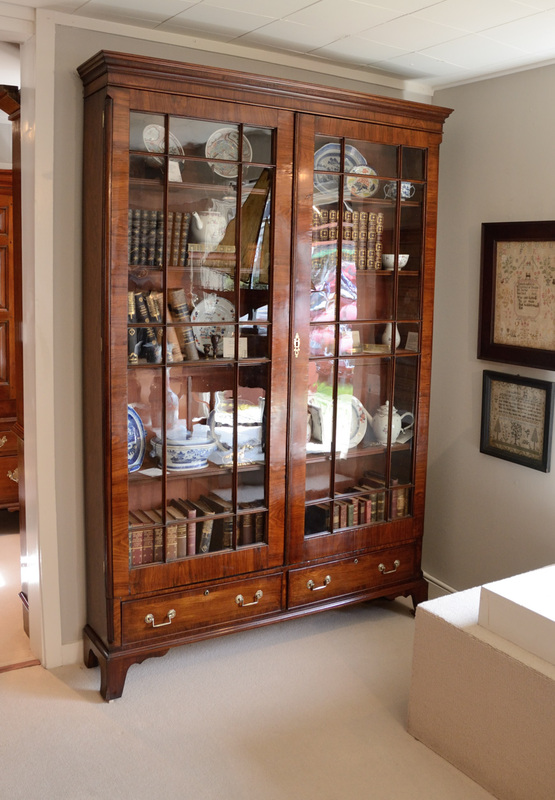 Chippendale Walnut Tall Case Clock Has A Scrolled Bonnet With Carved Rosettes.The Rosettes Are Flanked By Brass Finials Above An Arched Glazed Door. 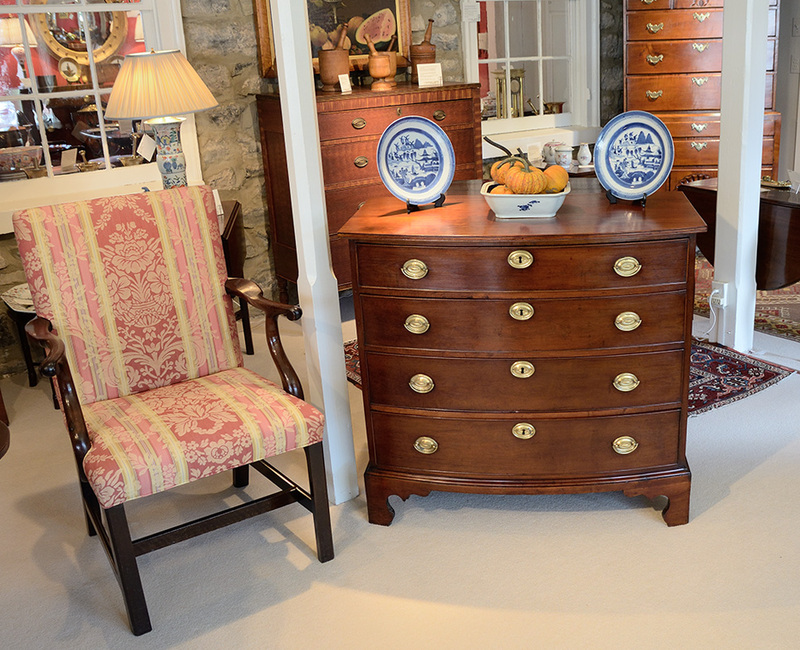 Chippendale Maple Chest on Chest in Two Parts.The Condition, Proportions & retaining Original Brasses Make Maple Chest On Chest A True Find!